"Give me blood, and I shall give you freedom!" "I am a bonafide Dashnamee Sannyasi; and you will know, that, a man under the Holy Orders incurs civil death according to the civil laws. And a Sannyasi is dead to his former life; it is in the keeping of Divine Mother Durga and Father Lord Shiva." "Freedom never could be a gift, because every gift carries its obligations, its ties!" I thought I will introduce him not by my words but by his own. 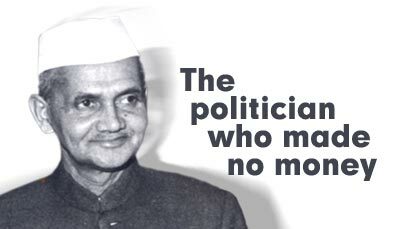 A person who took led the country through the worst times after independence. Wake up. 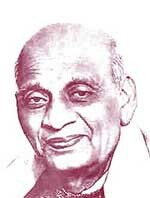 You are just about to meet one of the Greatest Son of Bharat Mata. We are at a momentous stage in the history of India. By common endeavour, we can raise the country to a new greatness, while lack of unity will expose us to fresh calamities. I hope the Indian States will bear in mind that the alternative to cooperation in the general interest is anarchy and chaos, which will overwhelm great and small in a common ruin if we are unable to act together in the minimum of common tasks. 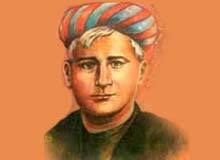 One of the greatest novelists of India who gave the 'people the sacred 'mantra'- Vande Mataram.' The Bengali Novel practically began with him. He also wrote philosophical works, which stimulated independent thinking. There is hardly an Indian who is not familiar with this National Song. Possibly, most of us do not know who composed this song. "What was to be done in the way of teaching him modern mathematics? 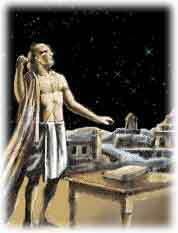 The limitations of his knowledge were as startling as its profundity." Hardy He is the man who is said to know the infinity. Sitting on the banks of the Carvery in Mysore he solved the most complex of mathematical equations. With a flick of the wrist, a quick glance of his eyes, a sharp turn and then another turn, and Dhyan Chand was through A German reporter said about Dhyan Chand's performance When an Indian went out of the nation during his times, people used to ask "Are you from the land of the Hockey magician?" If the answer was yes, they looked at you with respect in their eyes. 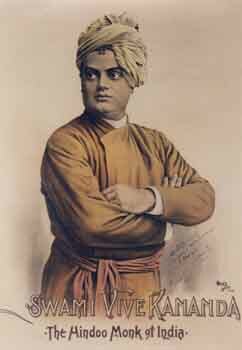 The valiant monk who proclaimed in America the greatness of Hinduism and of Indian culture at a time when the West regarded India as a land of barbarians. The beloved disciple of Sri Ramakrishna Paramahamsa.He was the living embodiment of sacrifice and dedicated his life to the country and yearned for the progress of the poor, the helpless and the downtrodden. The full name of J.R.D.Tata is Jehangir Raranji Dadabhai Tata. He is known throughout the world as J.R.D Tata, for short. 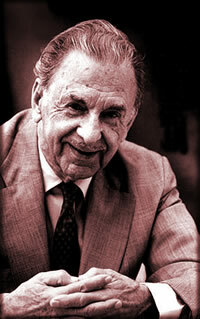 JRD Tata has been one of the greatest builders and personalities of modern India in the twentieth century. Udham Singh (December 26, 1899 - July 31, 1940), born Sher Singh was a Sikh Punjabi Marxist and nationalist best known for assassinating Michael O'Dwyer in March 1940 in what has been described as an avengement of the Jallianwalla Bagh Massacre. Singh was also known as Ram Mohammed Singh Azad, symbolizing the unification of the three major religions of India: Hinduism, Islam and Sikhism. Ah! Not for idle Hatred Not for Honour, Fame , Nor self Applause But for the glory of the cause You did What will not be forgot. 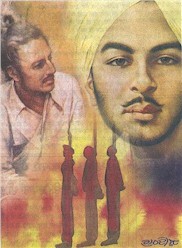 --Shaheed Bhagat Singh Diary An inspiration, a visionary, a revolutionary! Read more about Bhagat Singh and Group. Born: August 12, 1919 Died: December 31,1971 Vikram Sarabhai was one of the greatest scientists of India. He is considered as the Father of the Indian space program. Apart from being a scientist, he was a rare combination of an innovator, industrialist and visionary. Physical Research Laboratory, Indian Space Research Organnization,Indian Institute of Mangagement(Ahmadabad) are some of Institute started by Dr. Vikram Sarabhai.